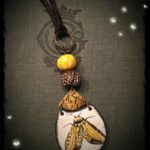 The star of this necklace is the beautiful Luna moth faux tin pendant by Humblebeads. 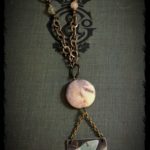 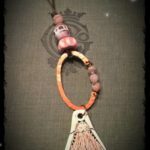 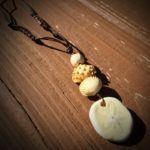 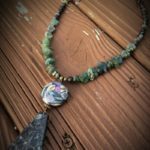 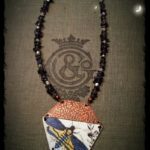 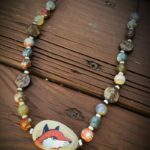 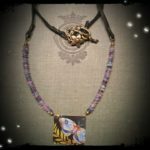 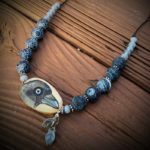 I strung the pendant with fine chain through a mottled agate stone that reminded me of the moon in soft hues of grey and yellow. 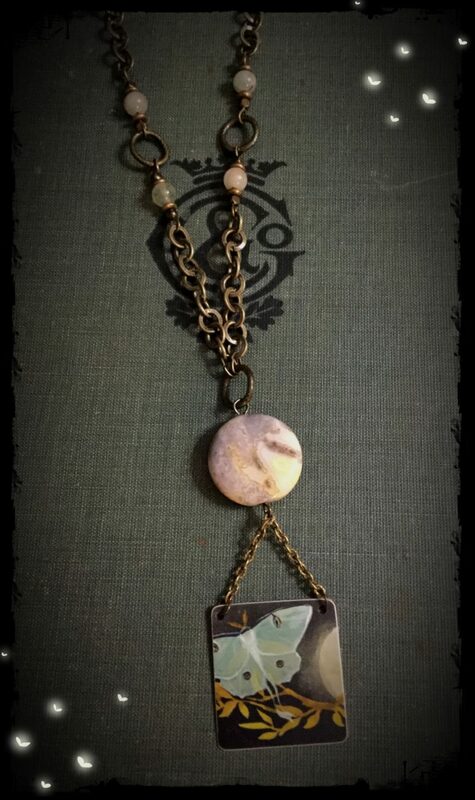 I accented the chain with some pale aqua/grey stone rounds and brass spacers.